Ever wonder why there are so many updates in April? I figure it is fate giving me an overwhelming number of updates so I can abuse the old adage about April showers bringing May flowers, but what do April patches bring us in May? Hmm… it will come to me. While I noodle over that, let’s dig into the lineup for April because it is CRAZY! We got updates from Microsoft, Adobe, Wireshark, Oracle (dropping on April 16), and Opera. 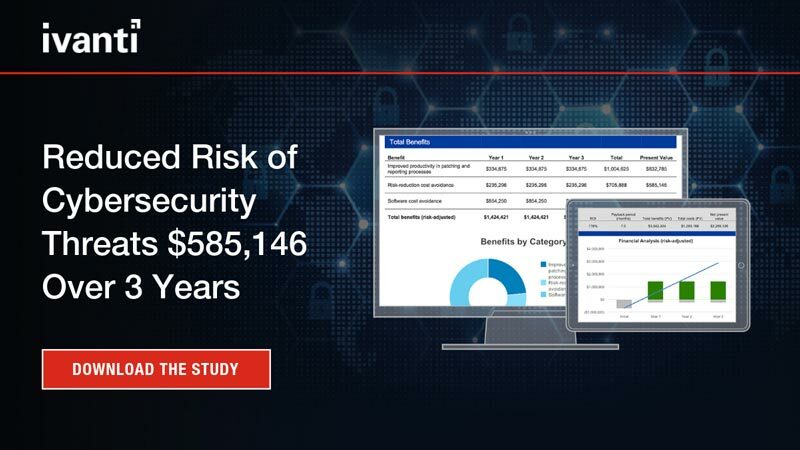 We also have a boat-load of end-of-life notices, which raise a number of security concerns that are very timely to discuss, given the recent Arizona Tea ransomware attack that brought the company to a grinding halt. Microsoft has released 15 updates resolving 74 unique CVEs this month. These updates affect the Windows OS, Internet Explorer and Edge browsers, Office, SharePoint and Exchange. Two of the vulnerabilities (CVE-2019-0803 and CVE-2019-0859) resolved in the Windows OS are being used in exploits in the wild. These are Win32k elevation-of-privilege vulnerabilities that could allow a locally authenticated attacker to run arbitrary code in kernel mode. Adobe has released seven total updates resolving 43 unique CVEs. 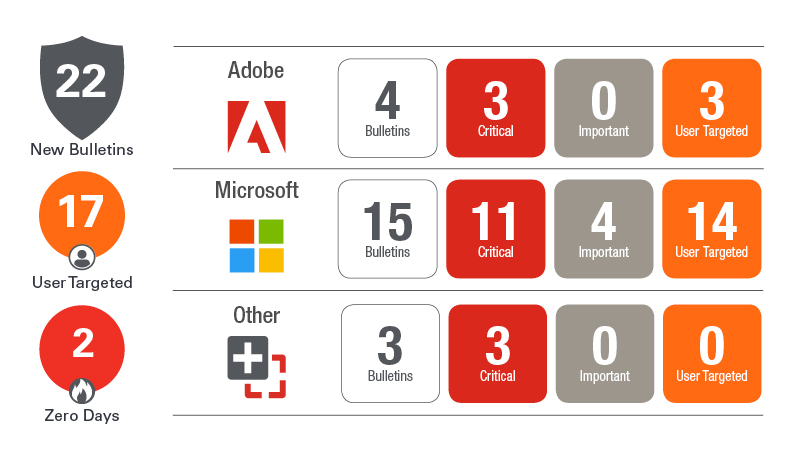 Adobe Reader, Acrobat, AIR, Flash, and Shockwave are the most concerning here. You can get updates for Reader, Acrobat, AIR, and Flash, but Shockwave has reached its end-of-life so no update is available for its seven critical vulnerabilities. Immediate action: Remove Shockwave from your environment! Its seven vulnerabilities are going to leave the majority of Shockwave installs exposed. You can bet an exploit is imminent there. So if you caught my April Patch Tuesday Forecast on Help Net Security you have seen the nice long list of end-of-life products I went through. Add Shockwave to that list now. Also, if you have not caught up on the latest news we have a real-world example of how neglecting this issue can come back to bite you. Arizona Beverages was hit by a large-scale Ransomware attack that brought the company to its knees. The incident was attributed to outdated systems and systems with updates not yet applied as well as poorly configured backups. Take the time to review this list and look into other products in your environment. Obsolete software is a considerable risk to your environment and needs to be addressed even if removal is not the immediate answer. Have a plan in place to mitigate the risk if elimination is not possible.